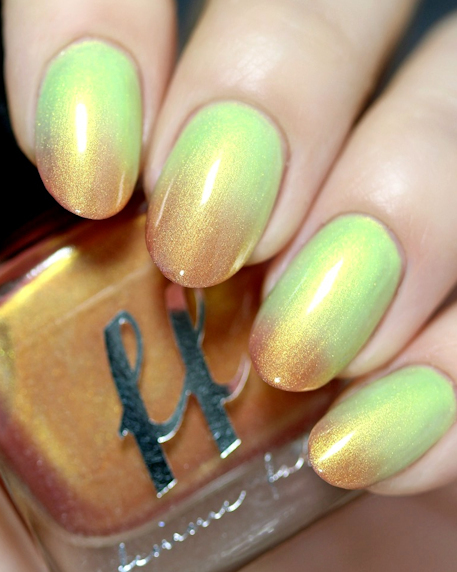 A red (cold) to bright green (warm) thermal with strong golden shimmer. This one likes to sit in the middle phase – a rose gold – in the bottle, and has a slightly slower change time than some of our more responsive thermals. This one should be opaque in 3 coats. Please note a thermal has an expected transitioning period of between 6-12 months, and must be kept well sealed in a cool, dark environment to help prolong it’s activity.